• Ideal for the Younger dancer, exams, shows. • Full cotton lining and absorbent insole reduce moisture. Medium width fitting. Fitting: the satin shoe is average width fitting. Due to most of our customer have satin shoes for exam, Eisteddfod, performance or Deluxe, the size here is a just fit size for the foot length. 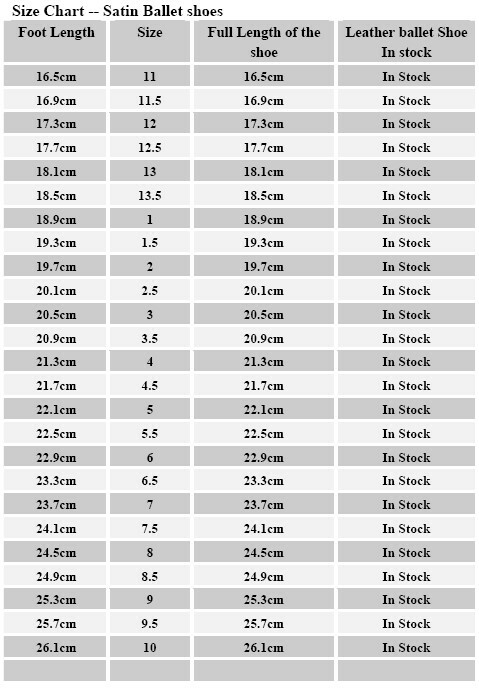 I have added on AU size for your refference, due to different brand, sizes are slightly different, will recommend to follow our measuring instruction to find your size from our size chart to avoid size disapointment.